Let your heart take flight. 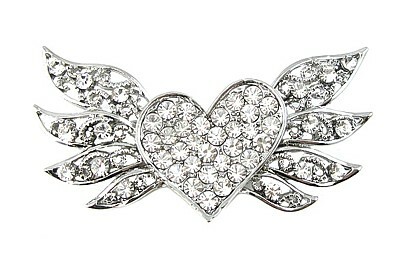 Send your love to someone special via this angelic brooch that sparkles like crazy on any lapel, pocket, scarf or hat. Created with a silver finish, it features 49 dazzling crystal clear rhinestones Size: 6cm (2½”) x 3cm (1¼”).